Correct. I just came back to change it but you beat me to it . How about this, just now. It's done that before. Occasionally takes several seconds after finishing the download before starting the upload, but is time-counting from the end of the download. Superb programming. I find the BT speed tester useless now apart from the IP profile, it gives wildly varying results. It's usually fine for me, wired. Wireless is poor of course. 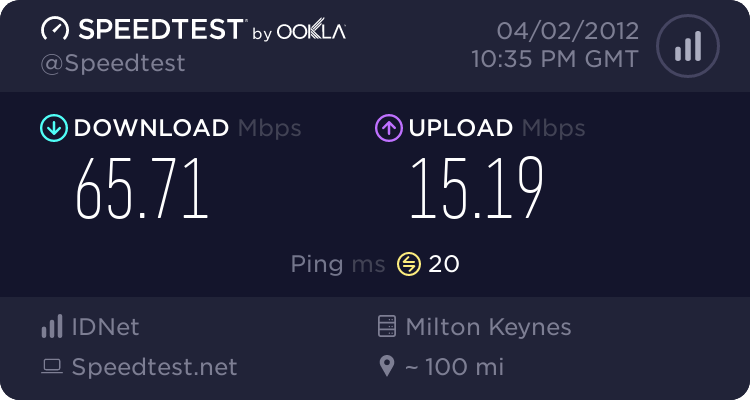 I find it to be rubbish even on a wired connection. 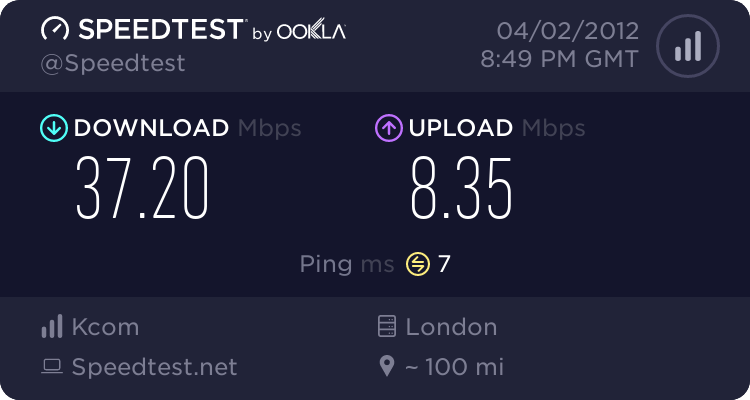 After re-sync'ing, the BT speedtest gave me a download speed of 270Kbps (yes, I have got the units right) on a 69.34Mbps profile, speedtest.net immediately afterwards gave this.